Azamara ships are not too big (you never feel lost). And they’re not too small (you won’t run out of new things to do and new people to meet). Plus, with the newest addition to our fleet—the Azamara PursuitSM—you’ll have even more choice in immersive voyages that call on the world’s most unparalleled destinations. 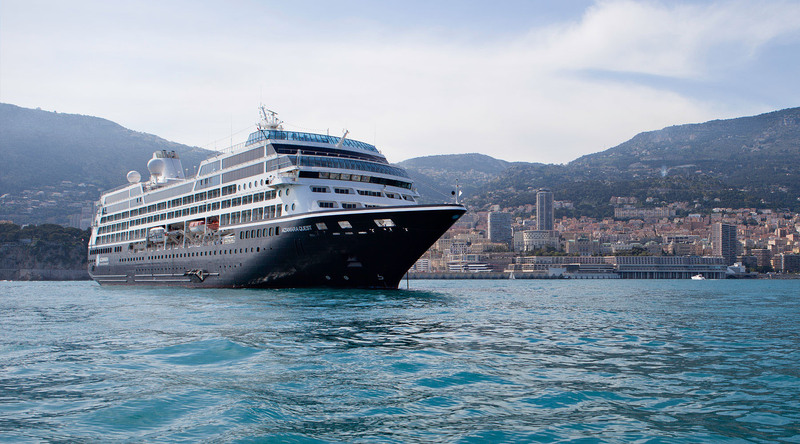 Azamara Journey® and Azamara Quest®, and the new Azamara PursuitSM, our three mid-sized ships are really just right. You’ll love the genial club-like atmosphere and the way our staff and crew get to know you. And you’ll feel the same friendliness with your fellow voyagers. Our smaller ships also offer the big advantage of being able to sail to places larger cruise lines can’t. We sail to the doorstep of Bangkok, while other large cruise lines dock a few hours away. We sail to the city center of Bordeaux, the heart of Seville, and within a short walk to Hong Kong’s buzzing nightlife and Shanghai’s famous Bund. It’s easy to dive beneath the surface of a destination when you’re at the center of the action. See our ships from every angle. Experience what sets our ships apart before you even step onboard. While the video is playing, click and drag within the window to view accommodations and onboard attractions in 360 degrees. You’ll Love Our Revitalized Boutique Hotel Experience.